English Summertime has finally arrived and the city is heating up. I can't stand to put on anything more than a floaty dress and sandals to leave the house and the Tube is almost unbearable. Beauty wise I'm lusting after fresh scents and refreshing, zesty products. 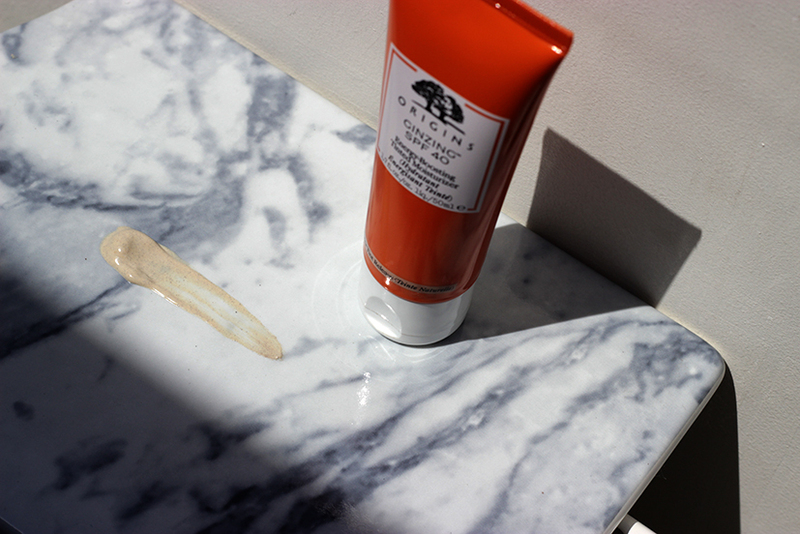 It's all about great skincare rather than layering up make-up. I've found myself asking a lot from my products this summer. For my face I want hydration, an energy boost to wake me up and a decent SPF. Well I only went and found the dream didn't I? 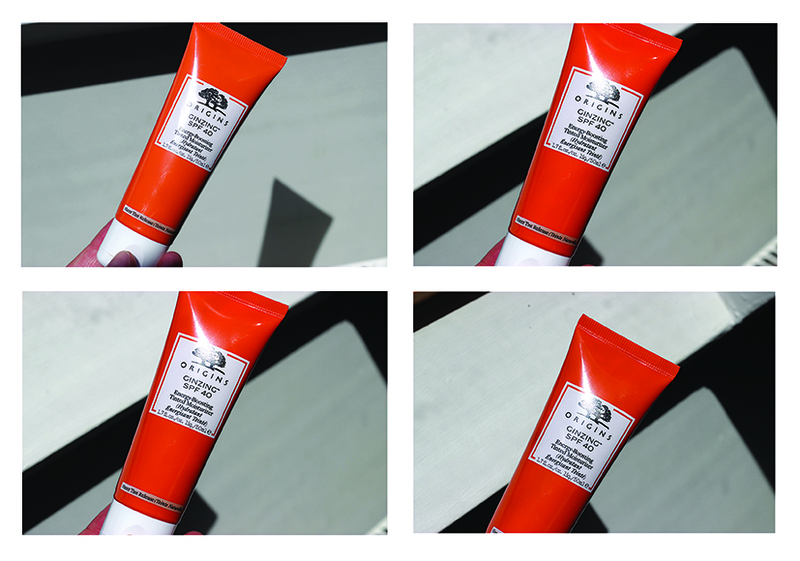 You may have read about Origins GinZing SPF 40 Energy Boosting Tinted Moistuiser in the press recently? I always aproach these 'promise all' products with an certain amount of caution. Too many times have I found a caking BB cream. Well I was really impressed! In fact I was so impressed that I've (temporally) ditched my trusty Mac Studio and am using this baby exclusively. This Tinted Moistuiser isn't the cheapest on the market (£30 for 50ml) but comes in a decent size tube and you don't need much. On a cleansed face I use a serum and moisturiser as my skin is currently on the dry side. You may find you don't need the moisturiser at all. I apply Origins TM all over my face. It's a hydrating, easy to apply consistency with a divine zesty scent. The coffee beans and Panax Ginseng instantly boost moisture and energy levels leaving you ready to face the day. The tint is enough that I don't need anything else except the odd dab of concealer on any bad blemishes and having SPF 40 means no sun cream is needed. 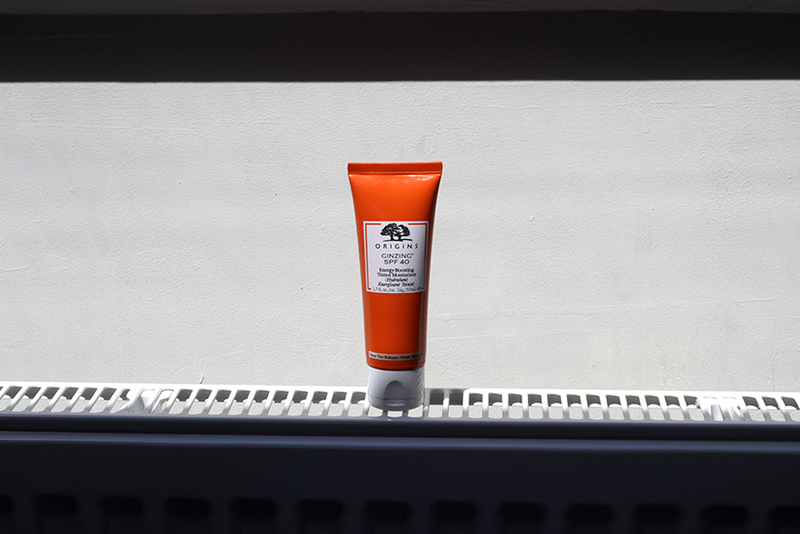 It really is the speediest way to a fresh face and lasts well throughout the day - even on a hot tube. I'm so impressed with the product I'm looking to try more from Origins collection. Do you have any gems you've tried? If so let me in on your secrets. It's been a long time since I was loyal to a haircare brand. I'm forever trying different products, most of which I never mention due to being a little average. 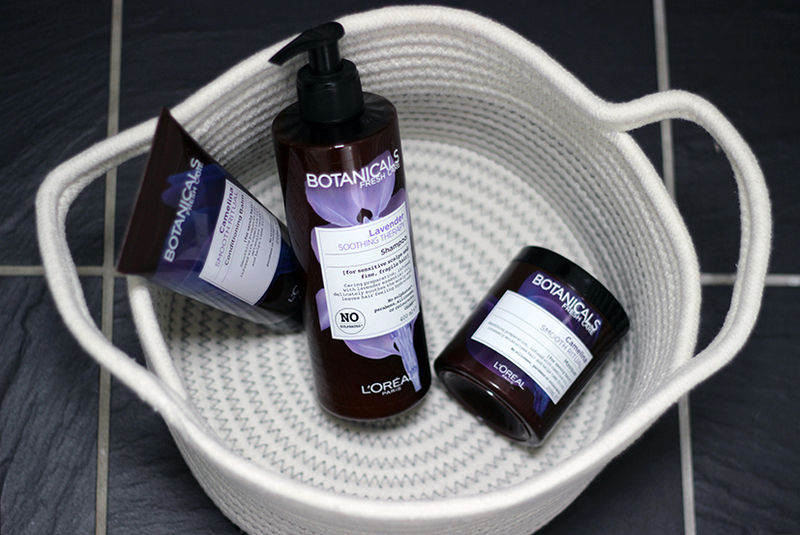 I had seen a few reviews from L'Oreal's sponsored bloggers and thought the Botanicals range looked promising. Without any high expectations I purchased a selection from the range from the Boots site and awaited my delivery. A few days later my Boots box arrived filled with the Lavender Soothing Therapy Shampoo, Camelina Smooth Rituals Conditioning Balm and the Camelina Masque. I've been suffering with dry straw-like hair, split ends and a slightly dry scalp so I thought this selection might just help a little. 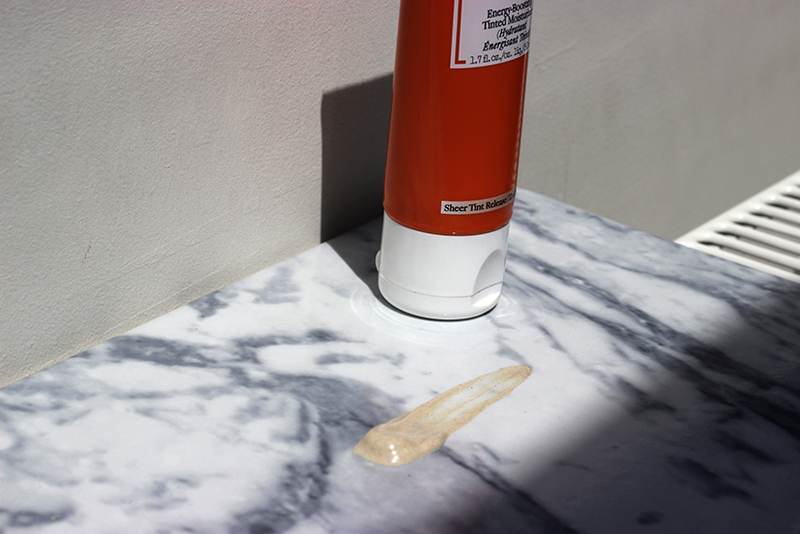 First impressions were the pump shampoo bottle was a great idea and made it very easy to get the right amount whilst feeling quite Salon-like. Initially I wasn't wild on the scents. They weren't bad however usually I go for something a little fresh and fruity. The products are natural so the shampoo smells of Lavender as you'd expect. I have now grown to rather love the smell and it definitely hasn't put me off. 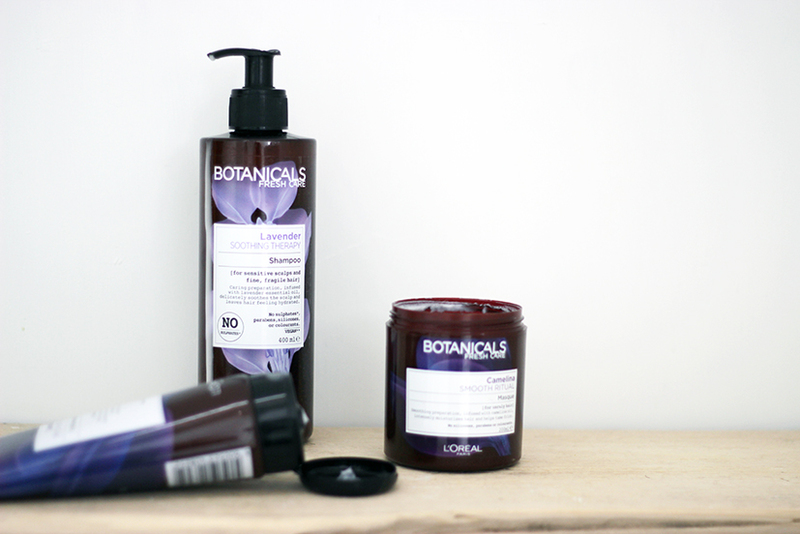 The Botanicals range is free of silicones, parabens and colorants. The products are Vegan (although L'Oreal itself does test on animals in some counties so if you are Vegan you may want to do a little more research - this isn't my strong point). 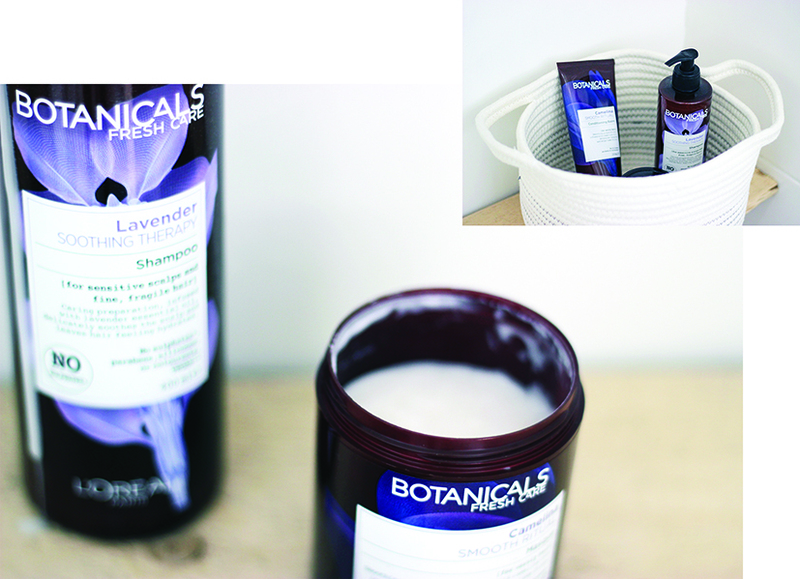 Botanicals uses finer ingredients from natural origins and more sustainable processes. The lack of added ingredients really has transformed my hair making it softer and stronger with less breakage. I use the Masque once a week which keeps my hair super soft and apart from the above am just using a heat protection spray before blowdrying and styling. I've just been over to the Boots website and the Botanicals range is included in their 3 for 2 offer so I'm stocking up! I've added the links to what I used below. If you give them a go don't forget to let me know your thoughts.